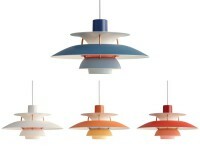 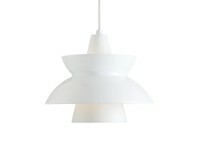 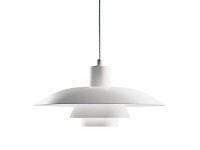 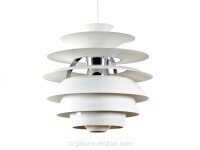 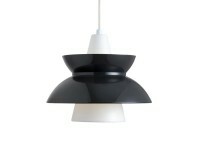 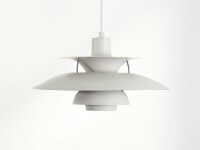 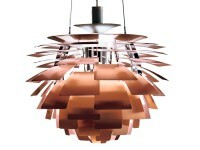 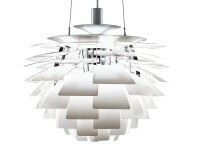 Danish architect Poul Henningsen, known by his initials, PH was obsessed with light. 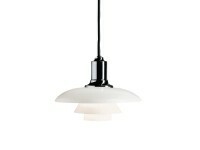 He is the legendary creator of the lighting series carrying his name. He can be said to be the worlds first lighting architect. 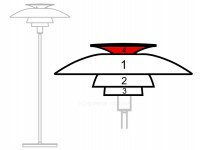 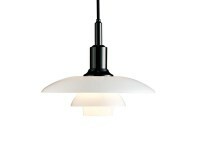 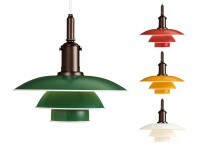 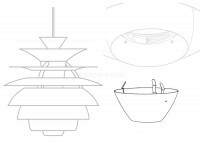 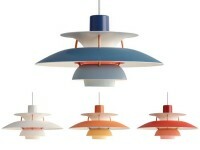 Poul Henningsen devoted his entire career to investigating the importance of light for our well being. 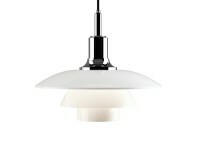 He worked on the theory that the observer should not be subjected to direct glare from the electric light source. 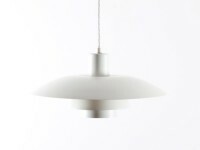 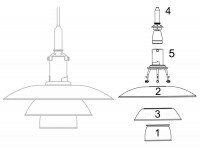 Henningsen used a series of layered shades to both spread the light and conceal the light bulb, thus creating a softer more diffused lighting. 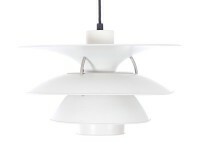 One of Denmark's major figures in 20th-century lighting design, Henningsen was also an independent architect, designer of theatre interiors and tubular steel furniture, critic, and editor of the magazine Kritisk Revy (Critical Review). 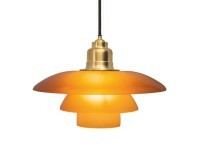 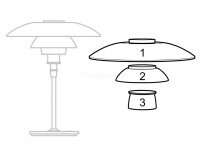 Highly critical of the widespread lack of imagination in domestic lighting in Copenhagen, Henningsen came to prominence with the first of his multi-shade lamps designed in 1924, setting the pattern for his subsequent lighting work. 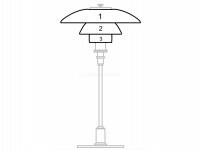 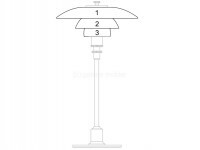 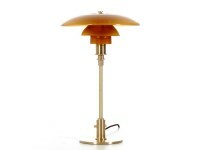 Known as the Paris Lamp (and later as the PH lamp) it won a competition for a light fitting for the Paris Exposition des Arts Décoratifs et Industriels of 1925, where he was awarded a Gold Medal, and was put into production by the Danish lighting manufacturer Louis Poulsen. 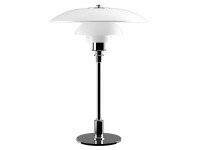 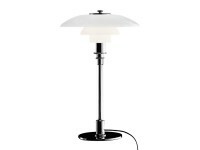 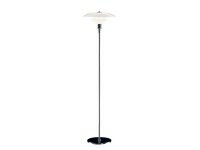 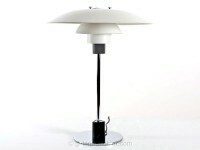 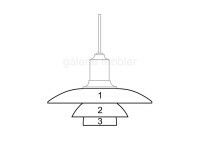 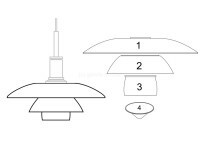 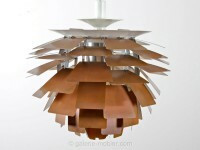 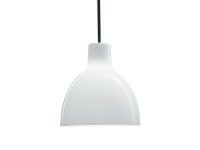 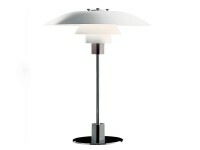 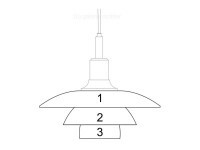 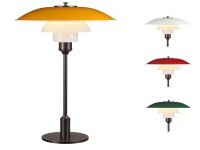 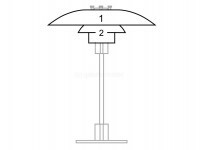 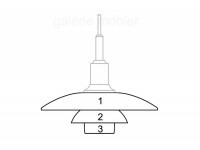 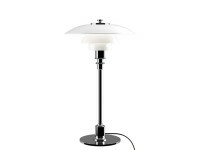 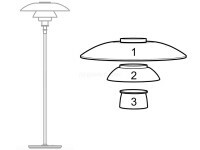 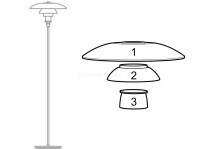 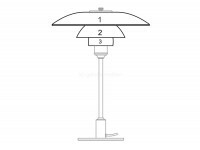 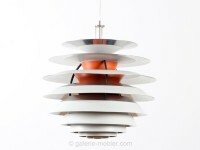 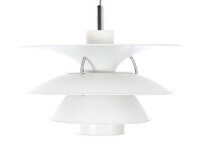 Mid-Century modern scandinavian table lamp PH 31⁄2-3 aluminium by Poul Henningsen for Louis Poulsen.